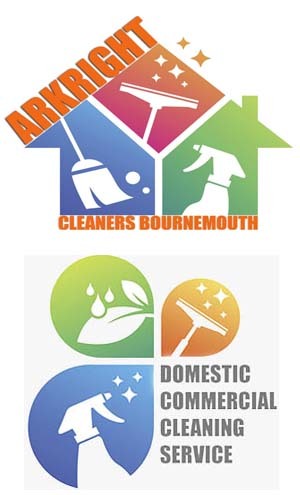 Our Bournemouth domestic cleaners are all CRB checked, referenced and fully screened prior to receiving our in-depth domestic cleaning training which covers everything from ironing to patio-cleaning. When performing work within your home you expect the utmost respect, privacy and conscientiousness from reliable and trustworthy cleaning staff. At Arkright all our staff are Bournemouth based, ID checked, work eligibility checked and police checked for peace of mind and security. We operate an eco-friendly cleaning service to all Bournemouth residents which means we only use detergents, cleaning products and materials that are classed as being green and environmentally friendly. We do not turn your home into a miniature chemical factory by using non-eco-friendly detergents, degreasers, stain removers or pesticides. Phosphates largely found in laundry and cleaning detergents cause large scale pollution in rivers and the sea killing off marine life through creating thick algae slime, this cleaning detergent pollution has been called the ‘silent global epidemic’. At Arkright all the products our cleaners use are thoroughly green and cause no harm to your home or the environment so you can enjoy a fresh clean home without worrying about the carbon footprint left behind by cleaning. We always strive to build a trusting and honest relationship with our customers, based on mutual respect and openness. As a result of our extensive experience with a large number of clients across Bournemouth, we have created a highly efficient and reliable organisation that will provide a high quality cleaning service to satisfy the high expectations of our customers. We know that when you’re looking for a domestic cleaner or cleaners to clean your home you want a locally based cleaning company that you can trust and rely on that why as one of Bournemouth’s leading domestic cleaning companies we pride ourselves on our glowing reputation and top quality cleaning services.